Trigger Finger is a common problem that can cause a locking sensation and pain in one or more fingers. This condition occurs when one of the fingers or the thumb fails to extend spontaneously, and suddenly snaps into extension after considerable effort (triggering). This disorder is usually linked to repeatedly grasping or gripping a certain object (steering wheel while driving, a racket while playing tennis or badminton or even a cellphone, for instance). Repetitive gripping eventually breaks down and swells the fat pad at the base of the finger. It’s precisely this swelling that causes the locking sensation and pain that you feel whenever you try to move your finger. This ailment can be painful and can certainly limit function. – to say the least, it can be very annoying. 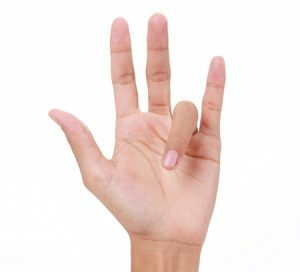 Dr. Christman offers an in-house procedures to help alleviate trigger finger, which has saved our patients a considerable amount of time and money when compared to local hospital treatments. To correct the issue, we inject a solution of steroid and local anesthetic into the area causing the triggering, which is in the distal palm. The cause of triggering is either swelling of the flexor tendon or tightening (compression) of its overlying tendon sheath. Generally one or two injections are sufficient to resolve the problem. If the condition returns after 3 injections, surgery is the best solution. This can be done easily, effectively and inexpensively in the Dayton office O.R. under local anesthesia. This avoids the need for expensive general anesthesia in the hospital setting, and recovery is quite quick. Relief of triggering is immediate. Hand and finger surgery can often be done safely, effectively, and much more economically, in the Christman Plastic Surgery Center operating room as contrasted with hospitals – thus saving patients many thousands of dollars, as well as saving time. This can be done under local anesthesia while the patient is awake, thus also saving anesthesiology expenses. Such savings make it worthwhile for patients to travel 500 to 1,000 miles to Dayton, Ohio, where such procedures can save them a lot of money, even after considering travel expenses, lodging and more. 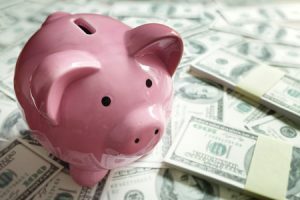 These charges include surgeon fee, facility fee and anesthesia fee – representing a tremendous saving over having such procedures performed in the hospital, which will typically charge $20,000 to $40,000 for the facility fee alone! The procedures performed in Dr. Christman’s office operating room can save huge amounts for patients who have high deductible plans, HSA’s, high co-pays or are otherwise not insured. Other hand surgeries, such as tendon repairs, both acute and chronic, tumor or lesion removal can also represent huge savings. Many other surgeries in other parts of the body, such as skin cancers, lipomas, benign tumors and more can also be done cost-effectively in our office operating room. The consultation fee for hand and finger surgery is only $150 and is necessary to evaluate the appropriateness of any surgical intervention. For patients coming from a distance, some of this might be handled via the phone or internet. People can save a lot of money having these procedures done here in our Dayton, Ohio offices. Oftentimes the financial discount gained far outweighs the travel considerations.